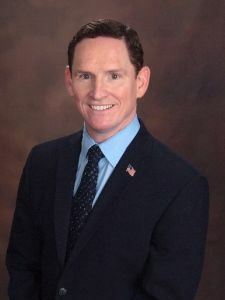 Since taking office in 2011, Dallas County Judge Clay Jenkins has become a voice for a stronger and more welcoming North Texas. He led the responses to public health emergencies like the West Nile Virus epidemic, the Ebola crisis, and natural disaster recovery from deadly tornadoes and flooding. Judge Jenkins brought steady leadership to county government, sponsoring reforms and improvements. 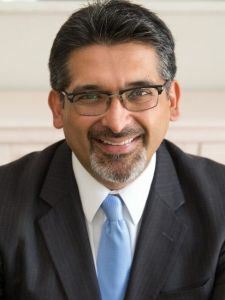 He has fostered more collaboration between North Texas local elected and appointed leaders and serves on many multiagency boards and commissions. Judge Jenkins is committed to helping more residents get living wage jobs. He appoints part of the board and serves as CEO of Workforce Solutions Greater Dallas. His “You’re Hired Job Fest” last fall was the largest ever in Dallas County, with over 2,300 job seekers connecting with logistics employers for 4,000 available living wage jobs. Judge Jenkins is a public official who believes we are stronger together and our best days are ahead. Alex is an Assistant District Attorney at the Dallas County District Attorney’s Office. Currently she is assigned to the 265th Judicial District court handling a variety of felony cases including murders, aggravated robberies, and aggravated assaults. Alex moved from Colombia to Texas at the age of four. She became an undocumented immigrant during middle school and did not obtain her U.S. residency until her junior year in college. She is active in the community, she coaches mock trial teams at UNT Dallas College of Law and mentors law students at SMU Dedman School of Law. 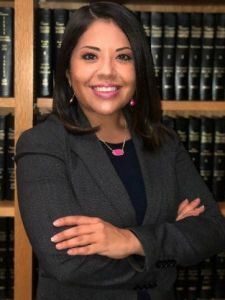 Additionally, she serves as a co-chair on the DAYL Equal Access to Justice Committee and is a Latino Center for Leadership Development fellow. Alex was recently awarded the 2018 Outstanding Young Lawyer of Texas award by the Texas Association of Young Lawyers. Alex is a graduate from the SMU Dedman School of Law. 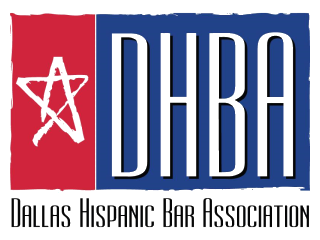 Roberto Cañas was the first Latino to be the presiding judge of County Criminal Court #10 in Dallas County. While on the bench, Judge Cañas worked to improve the legal system’s response to domestic violence. His numerous awards for his service on the bench include the 2018 HeRO Award from Genesis Women’s Shelter, the 2013 Champion of Human Rights Award from Mosaic Family Services and the 2009 Make A Difference Award from New Beginning Center. In 2013, Judge Cañas’s court was named a Domestic Violence Mentor Court by the U.S. Department of Justice. In 2014, Judge Cañas instituted Dallas County’s first-ever gun surrender program for domestic violence offenders. Currently, Judge Cañas serves as on the Domestic Violence Executive Task Force created by Dallas Mayor Mike Rawlings. Judge Cañas is currently in private practice at the firm of Lisa E. McKnight P.C. He represents clients in complex family and criminal matters.